The Mystery of Aris San: Who knew? Certainly not Abq Jew. , who remembers Aris San only for his long ago Greek dance hit Sigal Sigal. But Wikipedia knew! 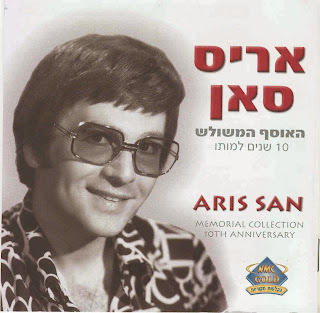 Aris San (Hebrew: אריס סאן‎) (1940–1992) was a Greek singer and nightclub owner who popularized Greek music in Israel in the late 1950s and 1960s. Aristotelis Saisanas was born in Kalamata, Greece. At the age of 17, he sailed from Athens to Israel, changing his name to "Aris San" on board. San began playing at the Arianna nightclub in Jaffa, a bastion of Israelis from Salonika. He went on to become co-owner of four nightclubs. Lucy Maloul, a singer known professionally as Aliza Azikri, visited the club with her manager and husband Nissim Azikri. A romantic relationship developed between Ari San and Azikri that became grist for the gossip columns. They had a daughter, Sani. San wrote songs for Azikri (Bahayim hakol over, Yesh ahava ata omer) that opened Israeli society to Greek and Mizrahi music. Sigal and Boom Pam were major hits. San left Israel a few months after the birth of his daughter on Yom Kippur eve. The government of Israel blamed him for spying. He settled in New York and opened a successful nightclub, Sirocco. He died under mysterious circumstances in Hungary in 1992. But all that is neither here nor there. Or perhaps it's both here and there. You can click here to read all about it. Click here if you'd like a version with all words and no dancing. 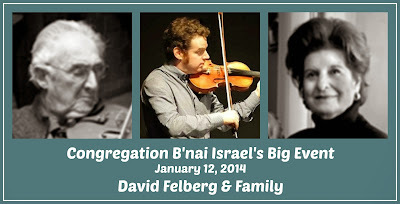 David Felberg & Family @ Congregation B'nai Israel: “An Evening with David Felberg & Family” at Congregation B'nai Israel on January 12 will provide an evening of beautiful music and fine dining for Albuquerqueans. The event will start with wine and hors d’oeuvres at 5:30 pm in the Social Hall of the synagogue, located at 4401 Indian School Road NE. 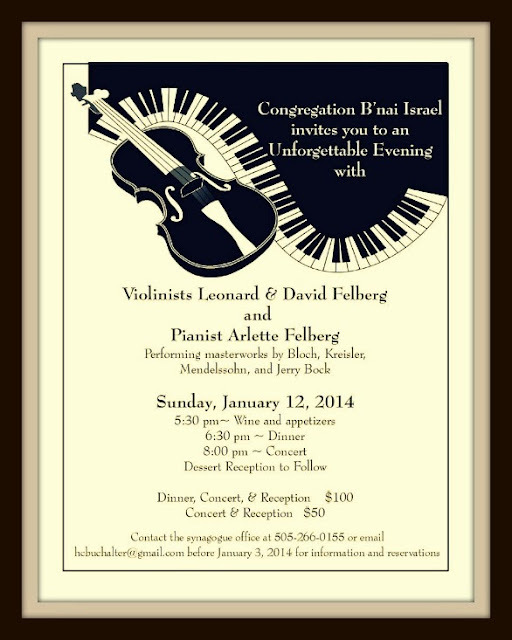 Supper will be served at 6:30, followed by the concert at 8:00 in the sanctuary. 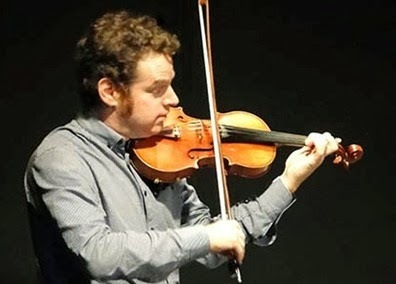 David Felberg, Albuquerque native, violinist and conductor, is Artistic Director and founder of Ensemble Music New Mexico, parent organization of the popular concert series, Chatter Sunday, Chatter Cabaret and Chatter 20-21. He is Concertmaster of the Santa Fe Symphony and Music Director and Conductor of the Albuquerque Philharmonic Orchestra. Mr. Felberg teaches contemporary music at the University of New Mexico, and is Associate Concertmaster of the NM Philharmonic, formerly the NM Symphony Orchestra. 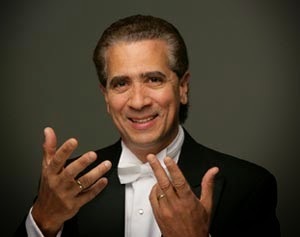 He maintains a robust conducting and concert soloist career, performing throughout the southwest, and also has performed regularly on many chamber music series throughout New Mexico, including The Albuquerque Chamber Soloists, Noisy Neighbors, Taos Chamber Music Group, Corrales Cultural Arts Series, Serenata of Santa Fe, Los Alamos Coffee Concerts, and the Placitas Artists Series. He made his New York debut in Merkin Hall in the spring of 2005. David received a Bachelor of Arts in History from the University of Arizona and a Master of Music in Conducting from the University of New Mexico. He has participated in advanced string quartet studies at the University of Colorado with the Takacs Quartet, and worked with Harold Farbermann at the Bard Conducting Institute. David plays a J.B.Vuillaume 1829 violin. Leonard Felberg, Professor Emeritus of Violin at the University of New Mexico, has had a distinguished and varied career in Europe, Latin America, Mexico and the United States. After receiving the Bachelor and Masters degrees from Yale University, where he was awarded the Horatio Parker Fellowship, he joined the Seventh Army Symphony, where he was featured soloist on tours of France, Germany and Luxembourg. After leaving the service, Professor Felberg joined the Concertgebouw Orchestra of Amsterdam for three years. He has held positions in the Berkshire Quartet, the Seraphin Trio, the University of Georgia Trio and the Toledo String Quartet, which won a medal at the Geneva International Competition. 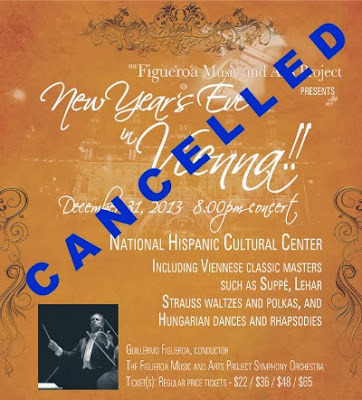 Mr. Felberg was Concertmaster of the Santa Fe Symphony for 24 years and appeared as featured soloist with them, with the New Mexico Symphony Orchestra and the Porto Alegre Symphony of Brazil. 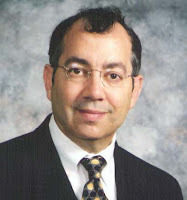 Professor Felberg has also held teaching positions at the University of Georgia, University of Syracuse and University of Toledo. In addition, he has taught workshops and master classes throughout the United States and Brazil. Many of his students have gone on to brilliant careers at major universities, and orchestras. Arlette Felberg holds a Bachelor of Music Degree in Piano Performance from The University of Michigan, a Master of Music Degree from the University of Miami, studied at The Manhattan School of Music, and worked on the Doctoral studies program at Indiana University. Her teachers have included Elvira Szigeti, Gyorgy Sebok, and Menahem Pressler for piano and Janos Starker for chamber music. Mrs. Felberg has held faculty positions at the University of Toledo (where she chaired the piano department) and for four years as Director of Keyboard Studies at The University of New Mexico. A veteran of numerous solo orchestral and chamber music appearances, Ms. Felberg has performed with The Santa Fe Symphony, UNM Symphony Orchestra, Durango Civic Symphony, San Juan Symphony, Miami Symphony, Musica da Camera Orchestra, Albuquerque Philharmonic Orchestra, June Music Festival, Taos Festival, Placitas Artists Series, Corrales Artists Series, East Mountain Artists Series, “Music on the Hill” in Los Alamos, and The Santa Fe Concert Assn. Ms. Felberg is a well known collaborative artist, whose many students, have themselves become university professors and performers throughout the U.S. and Asia, and she has influenced many students in the greater Albuquerque-Santa Fe area, who are now teachers and performers themselves. In 1990, she founded the highly acclaimed chamber music series, Albuquerque Chamber Soloists and has served as its Artistic Director throughout the years. Here, to get us all in the mood, is violinist Lauren Saks performing Baal Shem. Important Note: Ms Saks is a graduate of Denison University and an accomplished fiddler! Here she is (with Mark O'Conner, et al), playing Emily's Reel. The menu choices are prime rib roast beef, chicken in wine, or salmon - prepared under the direction of Chef Chris Buchalter. Fine wines will be served with the meal. A gala dessert reception featuring a celebratory cake will welcome guests on their return to the Social Hall for the dessert reception. (505) 266-0155 by January 1 to reserve! That Jew from Jersey Again: Last month, Abq Jew (see Laughing at Pew and Jewish Jokes for Dark Days) directed your attention to the Pew Research Center, which recently published A Portrait of Jewish Americans. The Center calls their study (and it is generally acknowledged to be) a "landmark new survey of American Jews." In which Mr Silow-Carroll points out a few things the Pew researchers may have missed. Abq Jew strongly encourages you to read Mr Silow-Carroll's column in its entirety. 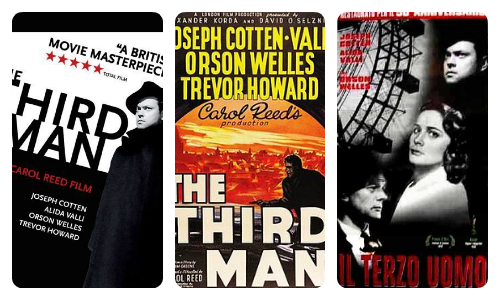 But if you haven't the strength to click here, here (and above) are a few highlights. 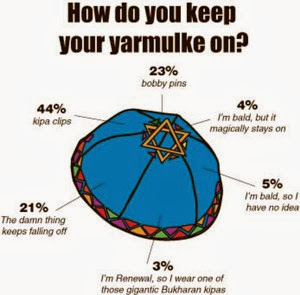 64 percent of synagogue-goers try hard not to giggle when the rabbi announces the yahrtzeit of Hymie Lipschitz. 26 percent of New Age Jews have experienced anti-Semitism in someone else’s lifetime. 33 percent of Reconstructionist Jews all this time thought they were Reform. 77 percent of Reform Jews have a picture on their wall of a hasidic rabbi. Zero percent of hasidic Jews have a picture of a Reform rabbi. Two out of three Jewish women talk about the third one when she’s not around. 34 percent of Jews say a person can be Jewish even if he or she believes Jesus was the messiah — just as long as they don’t go to church, drink beer from the can, or join the NRA. 77 percent of the questions asked by Jews at public events are in fact lengthy rebuttals of the guest speaker or memories of having served in the military. Three-quarters of Jews say they were raised Jewish by religion, 20 percent say they were raised Jewish by guilt and haranguing, and 80 percent of Jewish mothers will say at some point that their children were raised by wolves. the Flamenco Building in downtown Albuquerque. and wishes it continued strength as it overcomes this loss and rebuilds. 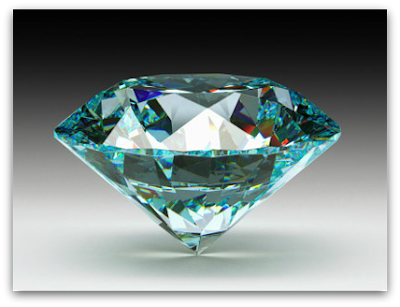 Parshat Vayehi 2013: In September (see Drasha Diamond Number 4, Drasha Diamond Number 3, and Drasha Diamond Number 2) and in April (see Drasha Diamond Number 1), Abq Jew highlighted exceptional drashot that he felt deserved to be brought to the attention of a wider audience. And Abq Jew invited any and all of the reported 24 ordained rabbis who currently reside in the Land of Enchantment to join in the fun. Last time, Rabbi Larry Karol of Temple Beth El, Las Cruces rose to the challenge and offered his High Holiday drashot. This time, we return to Rabbi Arthur Flicker of Congregation B'nai Israel of Albuquerque. This drasha - another jewel - deals with the most important of end-of-life issues. It is reprinted here by permission. Rabbi Flicker's got the copyright; all rights reserved. Last week I did something that really made me feel old – I signed up for Medicare. Now, for some of you, the fact that I am just now signing up may make me seem young. For others, it may make me seem old. On a certain level, 64 and 9 months really isn’t particularly old in today’s world. I assure you, if you watch me at the gym, you will see that I am in pretty good shape for 65. However, it is still the age of Medicare and it marks another milestone of aging in life. As we reach these “older” milestones – Medicare, Social Security, Retirement – we tend to start thinking about life’s last milestone – death. And that leads us to think about something that has become popular these days, bucket lists. The expression: ‘bucket list” became famous a few years ago, because of a movie that Rob Reiner made that starred Jack Nicholson and Morgan Freeman. They played two patients in a cancer ward who escape and run away to fulfill all the dreams of what they wanted to do, that they had never found the time to do, until now. I did not see the movie, and I don’t know a whole lot about bucket lists. 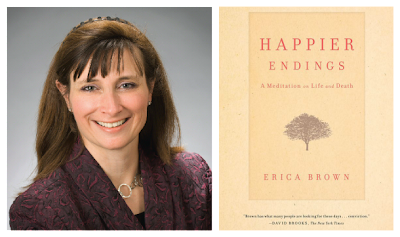 However, there is a new book about dying called Happier Endings: Overcoming the Fear of Death. It is written by Erica Brown, a Jewish educator who lives in the Washington, D.C. area. In the book is a chapter called “A Different Bucket List”. Ms Brown begins this chapter by saying that, if you go to Reb Google, and put in: “bucket list”, you will learn a lot about them. Sure enough, I followed her advice, and within a few seconds, Reb Google told me that there are more than sixty five thousand websites that dealt with bucket lists. Sixty five thousand! That’s a lot! Break a world record - in anything. Go to the Oscars, and get a front seat. Form a band, and perform at a major concert hall. Of course, there are still over 64,900 more. If you are really interested, you can go on line, and read these bucket lists for yourself. However, one thing that struck me as I read through these lists is that they all have something in common. They are all about the individual, and what that individual can experience before he or she leaves this world. I think that is sad, because the world does not begin and end with any individual. The world is bigger than any individual and I think that there is something sad about a person whose entire wish list, whose entire vision of what he or she wants to accomplish in this world consists of things like this. The world is not a trivial place, and therefore, I believe, a person should want to do more, and BE more, than is reflected on some of these lists. Pray for once in your life with all your heart and soul. Say ‘I’m sorry’ to your dad and all the others whom you have hurt in your life. .
Take each of your kids on a separate trip. Reconcile with the friend you are on the outs with. Write a letter to your Mom, and say thanks to her for everything. That is a much better list. What I like about it the most is that it is do-able, unlike skydiving and hang gliding and learning new languages, which are beyond the strength of most of us. And I like the fact that it is a spiritual list. It is composed of ways in which to take care of our unfinished business on this earth so that we can let go of our lives when the time comes, with a sense of completion. More importantly, it reads more like a Jewish Bucket List. First, he blessed his grandchildren. He did this for their sakes, and for his own, because grandchildren are our link to the future. If you can put your blessings upon them, you can leave this world hopeful that your values will live on after you. The second thing Jacob did was determine where he wanted to be buried, and instruct his children to make sure to honor this wish of his. By doing so, he linked his life to his past. He determined that he would rest in the same place as Abraham and Sarah, Isaac and Rebecca. Jacob’s bucket list, at the end of his life, was not to have some athletic or travel experience that he had not yet had. His last concern was not to see the Grand Canyon or skydive or climb Mount Everest or anything like that. He wanted to be a link between his parents and his grandparents on one side, and his children and their children on the other. He wanted to be a connection between his past and his future. That should be our bucket list as well – to serve as a connection between the traditions and history handed to us by our parents and passing them on to our children and grandchildren. For indeed, that heritage, that knowledge and love of God and Judaism, will be a far greater blessing to ourselves and to our family, than any bucket list trip, or adventure we might experience in life. 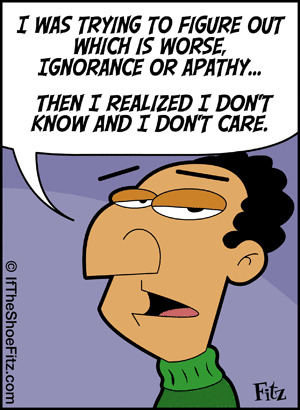 Know Nothing, Do Less: The news today is bad all over. First, we learned of the deaths of Peter O'Toole (81) and Joan Fontaine (96). Then we learned of the American Studies Association's decision to endorse an academic boycott of Israel. The Senate’s final week in session this year promises to be memorable not for legislative business like the pending budget and defense bills but for something far less inspired: the vast amount of time it spends doing nothing in particular. 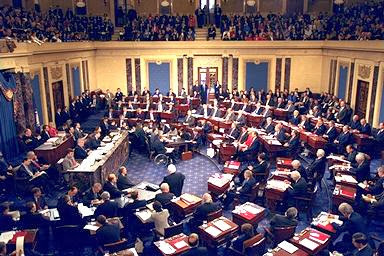 But the lack of movement in the Senate is only half the story of a Congress that has reached record levels of inactivity. Lawmakers simply are not spending as much time in Washington for many reasons, including a distaste for the contentious atmosphere that a deeply divided government has created and the demands of a fund-raising schedule. According to data analyzed by The New York Times, the House of Representatives, which ended its business for the year last week, left town with the distinction of having been at work for the fewest hours in a nonelection year since 2005, when detailed information about legislative activity became available. Alas, the House and the Senate will soon be among the departed, after an exemplary show of ... well, nothing in particular. Not this year. Bye now. because they're the ones who are right. because they're the ones who are left. Oh, ye of few years - do you think we, as a nation, have never gone through such trying times before? Well, Abq Jew assures you - we have. Before the Do Nothings, there were the Know Nothings. And before the Tea Party, there was the John Birch Society. Formed by Robert Welch in December 1958, The John Birch Society takes its name from the legendary World War II Army Captain John Birch. The organization's overall goal, never altered in the 50-plus years of its existence, has always been to create sufficient understanding amongst the American people about both their country and its enemies, so that they could protect freedom and ensure continuation of the nation's independence. John Morrison Birch (May 8, 1918 – August 25, 1945) was an American military intelligence officer and a Baptist missionary in World War II, who was killed during a confrontation with supporters of the Communist Party of China. Politically conservative groups in the United States consider him to be a martyr and the first victim of the Cold War. The John Birch Society, an American conservative organization formed 13 years after his death, was named in his honor. His parents joined the Society as Life Members. But the world will little note, nor long remember, what Abq Jew says here. While it can never forget what the Chad Mitchell Trio sings here. 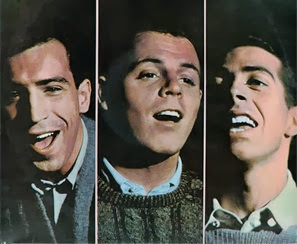 The Chad Mitchell Trio - also known as the Mitchell Trio [when John Denver was a member] - were a North American vocal group who became known during the 1960s. They performed folk songs, some of which were traditionally passed down and some of their own compositions. Unlike many fellow folk music groups, none of the trio played instruments. They became popular in some quarters, and were particularly notable for performing satirical songs that criticized current events during the time of the cold war, the civil rights movement, and the Vietnam War, in a less subtle way than the typical folk music and singer-songwriter musicians of their time. And here is, from the Trio's album At the Bitter End - The John Birch Society! The delightfully biting lyrics were written by Michael Brown (who also wrote the lyrics to another Trio hit, Lizzie Borden). And the banjo playing? Abq Jew suspects it may be Paul Prestopino, who is known to have played for the Trio on other albums - and who also played for Peter, Paul and Mary, Tom Paxton, Judy Collins, and John Denver. 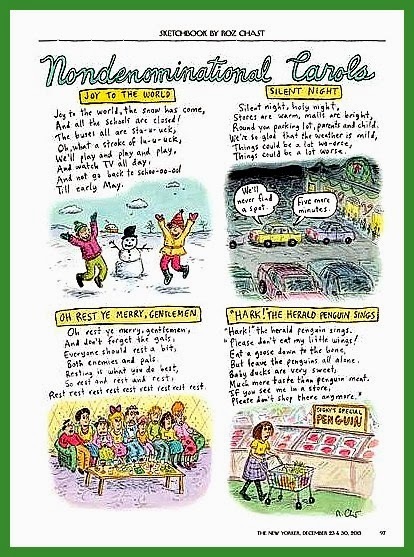 Now, did those marvelous lyrics just whiz by too fast for you? Have no fear - Abq Jew has you covered! Here are Michael Brown's lyrics, with hyperlinks to all (well, most) of the historical references that he managed to plug into the song. Have you heard they're serving vodka at the WCTU? Do you want Justice Warren for your Commissar? Do you want Mrs. Krushchev in there with the DAR? In the John, in the John Birch So- ci- e- ty. We Can Stop Now: The Times of Israel cheerfully reports that the Chief Rabbinate says we can stop praying for rain now. Here is a picture - snow in Jerusalem! - that might just possibly explain the Chief Rabbinate's change of heart. 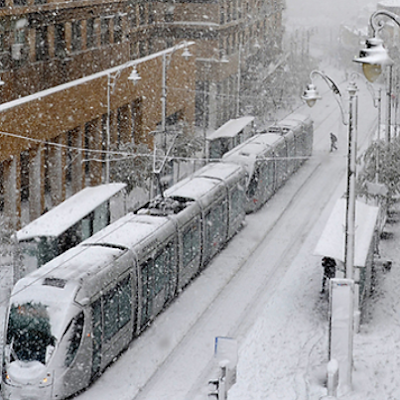 Now that Israel’s winter has begun in earnest, with a major storm and snow Wednesday and Thursday, Jews around the world should stop saying the special prayer for rain they were asked to utter last week, the Chief Rabbinate said. This early winter was one of the driest on record, even by the parched standards of the region, and so last Wednesday, December 4, Israel’s chief rabbis asked Jews worldwide to insert an additional traditional prayer for rain into their daily supplications and to recite specific psalms. Soon after the rabbis’ prayer request was made, meteorological data indicated that rain was headed to Israel. Since its arrival, the rabbis have asked the public to cease saying the extra prayer, and instead to insert a thanksgiving prayer for rain — a prayer that is “a little modern, from around 400 years ago,” Chief Rabbinate spokesman Ziv Maor told The Times of Israel on Thursday. A planned prayer rally at the Western Wall, called for last Thursday, was called off because it was already clear that the rains were imminent, he added. The first major rain of the winter struck the country that same day. This Wednesday-Thursday has seen Israel in the grip of a rain-, wind- and snowstorm that was expected to last through the weekend. 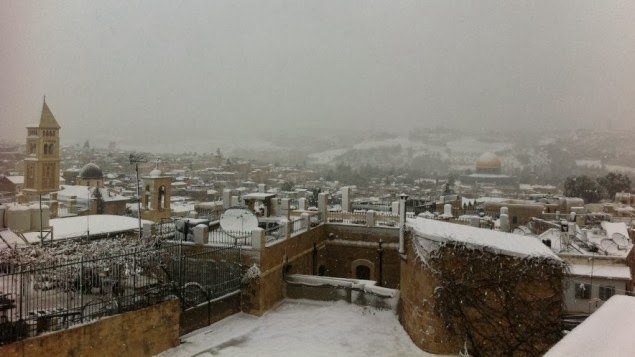 Schools were closed and public transportation disrupted Thursday as snow fell on Mount Hermon, the Golan Heights, Safed, and Jerusalem and its surrounding higher-altitude areas. Today (Friday December 13) is also the Tenth of Tevet, a bad day for Jerusalem and for Jews everywhere. On that day, in the year 588 BCE, the armies of the Babylonian emperor Nebuchadnezzar laid siege to Jerusalem. Thirty months later - on the Ninth of Tammuz - the city walls were breached, and on the following Ninth of Av (in 586 BCE) the Holy Temple was destroyed. The Jewish people were exiled to Babylonia for 70 years. 1. Yom Kippur cannot fall on a Friday or Sunday. 2. Hoshanah Rabbah cannot fall on Shabbat. And how, Abq Jew hears you ask, can one determine whether or not a particular year is a leap year? To determine whether year n of the calendar is a leap year, find the remainder on dividing [(7 × n) + 1] by 19. If the remainder is 6 or less it is a leap year; if it is 7 or more it is not. For example, the remainder on dividing [(7 × 5774) + 1] by 19 is 6, so the year 5774 is a leap year. The remainder on dividing [(7 × 5775) + 1] by 19 is 13, so the year 5775 is not a leap year. We refrain from food and drink from daybreak to nightfall, and add selichot and other special supplements to our prayers. The fast ends at nightfall or as soon as you see three medium sized stars in the sky. Recite the Friday night Kiddush, then break your fast. On the Eighth of Tevet one year during the 200s BCE, a time of Hellenistic rule of Judea during the Second Temple period, Ptolemy, King of Egypt, ordered the translation of the Hebrew Bible into Greek, a work which later became known as the Septuagint. Seventy two sages were placed in solitary confinement and ordered to translate the Torah into Greek. The expected outcome would be a multitude of different translations that would then be compared and critiqued by the Greeks as there were some sentences in the Bible that could be understood as offensive to pagans if taken wrongly and would obviously need to be changed. This would demonstrate the muddled meanings of the Torah and the divergent opinions of Jewish interpreters. However, all seventy-two sages independently made identical translations into Greek. The Greeks saw this as a most impressive feat. However, various rabbinical sources see this event as a tragedy, a debasement of the divine nature of the Torah, and a subversion of its spiritual qualities. They reasoned that upon translation from the original Hebrew, the Torah's legal codes & deeper layers of meaning would be lost. Many Jewish laws are formulated in terms of specific Hebrew words employed in the Torah; without the original Hebrew code, authenticity of the legal system would be damaged. The mystical ideas contained in the Torah are also drawn from the original Hebrew. As such, these would not be accessed by individuals studying the Torah in Greek (or any other language) alone. And on the Ninth of Tevet, the Shulchan Aruch tells us that "something happened, but we do not know what it was..."
The selichot liturgy for the day states that Ezra the Scribe, the great leader who brought some Jews back to the Holy Land from the Babylonian exile and who ushered in the era of the Second Temple, died on this day ... But according to the earlier sources ... the specific tragedy of the Ninth of Tevet is unknown. Not to wander too far off the subject, but the Babylonian Exile turned out to be a formative and transformative experience for the Jewish People. Many of our texts, laws, and customs were established in that period. And we acquired several of our month names - Nisan, Iyyar, Tammuz, Ab, Elul, Tishri, and Adar - from Babylonia. Anyway ... doesn't look like much of a chance for precip here in Albuquerque this weekend. Abq Jew has mixed feelings about announcing this because ... Abq Jew can't really see things in 3D, having suffered from "lazy eye" as a mere child. Lazy eye (amblyopia) is decreased vision that results from abnormal visual development in infancy and early childhood. Although lazy eye usually affects only one eye, it can affect both eyes. Lazy eye is the leading cause of decreased vision among children. Left untreated, vision loss may range from mild to severe. With lazy eye, there may not be an obvious abnormality of the eye. Lazy eye develops when nerve pathways between the brain and the eye aren't properly stimulated. As a result, the brain favors one eye, usually due to poor vision in the other eye. The weaker eye tends to wander. Eventually, the brain may ignore the signals received from the weaker — or lazy — eye. Doctors tried all the above to correct Abq Jew's lazy eye, with little success. The result is a sort of flat world, all surface with no depth. Abq Jew can use other visual clues to determine how far he is from the car in front of him, but he's never really sure. And stereograms? You've got to be kidding. Stereograms (like those eye- testing machines at the MVD) are a source of hilarious frustration for Abq Jew, who, at his current level of consciousness, does not need any more of such. Stereograms are two dimensional images that appear to be a nothing more than a random pattern. But when viewed correctly, with two more or less functioning eyes, reveal an illusion of 3D depth. 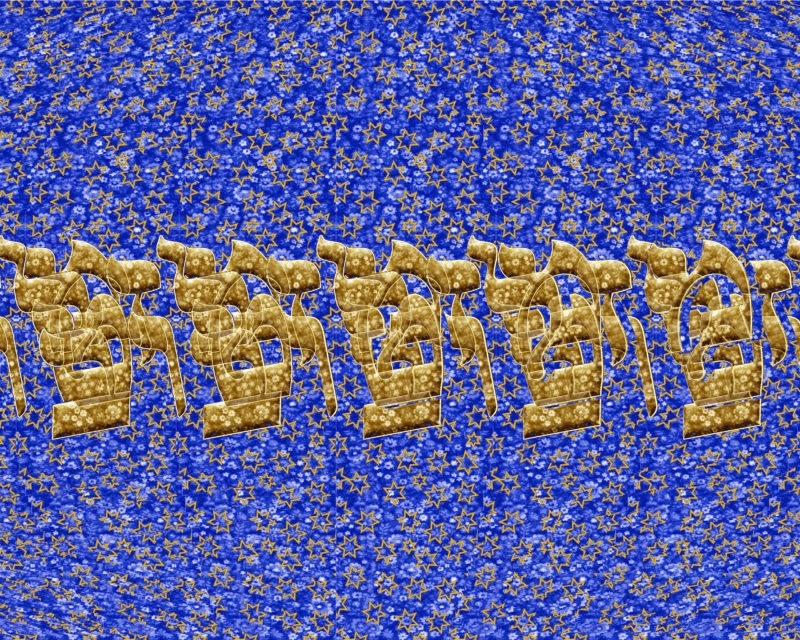 The image shown here is a hidden image stereogram that contains the words Mazel Tov! 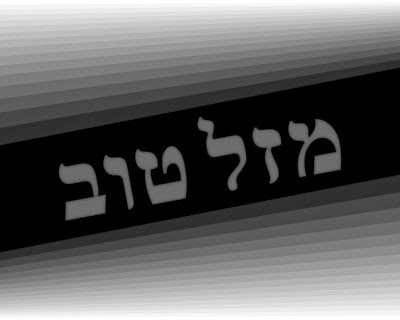 in Hebrew. 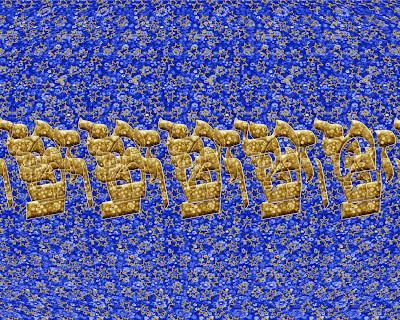 When viewed as a stereogram, the golden characters appear to lift off the page (or monitor) while the blue background recedes into space. The trick to viewing a stereogram image is to not focus on the image itself. This is hard for some because we are accustomed to reading from a page or monitor where we focus directly on the text and images. But stereogram vision requires that we focus a little beyond the image. This is not difficult. The best way to accomplish this is to get as close to the image as possible, and then very, very slowly, with your eyes still relaxed and blurred, begin to move away from the image. Try to maintain this blurred vision as you pull away from the image and you will begin to experience a sense of 3D space. This may require several tries but the important thing is stay relaxed and do not focus on the image. Most people, even people who swear they can "never see these things" can. It is just a matter of relaxing your eyes and letting your brain pull the image together. When you see your first stereogram, the effect is at once amazing and magical. And once you master the technique, it gets easier with each new image. 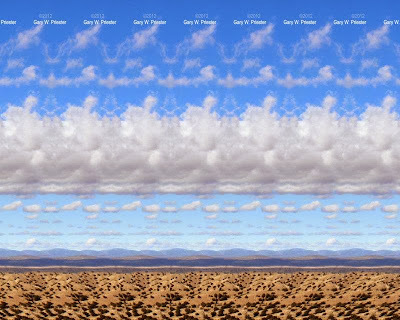 Gary was kind enough to send this "hidden image" to Abq Jew, along with the stereogram above. 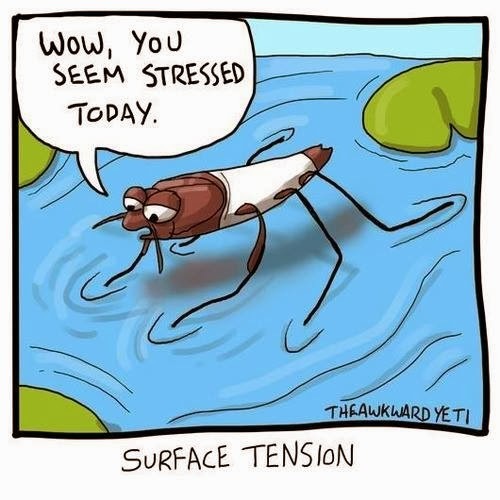 The two images may be related. Don't ask Abq Jew - ask Gary! And how, Abq Jew hears you ask, did Gary Priester get involved with stereograms? For Priester, it all started back in the mid 90s when he was intrigued with the Magic Eye stereogram books and posters. At the time, Priester was an associate editor with Publish Magazine in San Francisco. A fellow editor had written a software review for a program that created hidden 3D stereograms. Priester contacted the author and offered to pay for a short tutorial. The author did and Priester's obsession with stereograms began. After creating a few dozen images, Priester created a website with some of his earliest efforts. His hand coded HTML website was seen by Gene Levine, another stereogram artist, and the two began to exchange e-mails about stereograms. Levine had just been asked by Takarajimasha Inc., a large magazine publishing firm in Tokyo to provide images for a new stereogram magazine series, The Magical Eye. The editor asked Levine if he knew of any other stereogram artists, Levine recommended Priester and the collaboration began. 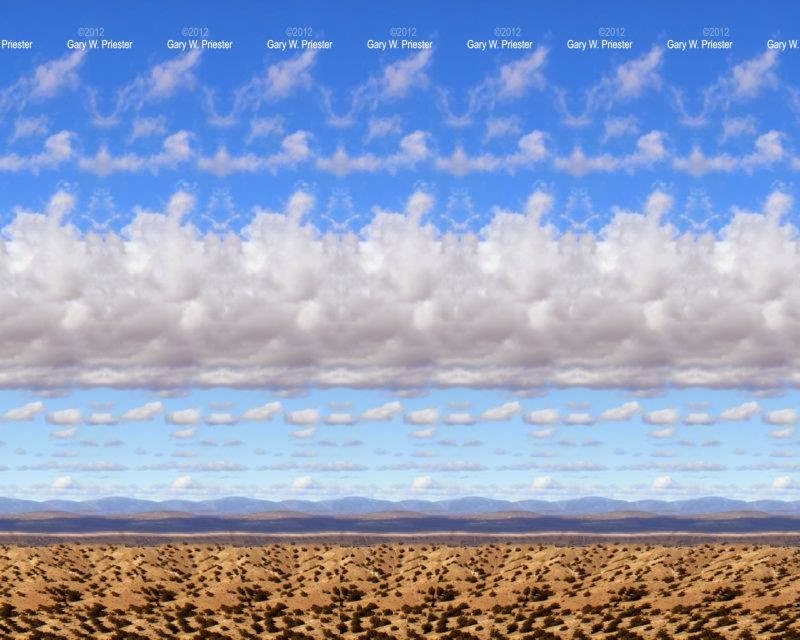 Another Gary Priester 3D stereogram. Or so Abq Jew is told. And how, Abq Jew hears you further query, can Gary Priester and Gene Levine possibly be friends and collaborators if they have never met(!)? Priester lives in Placitas, Levine lives in Los Angeles. The two have collaborated for close to 15 years, but have never met, and have never talked to one another on the phone! But inasmuch as Gene and Gary are both self proclaimed hermits, and terminally grumpy persons, the collaboration has been effective without the need to chat or to do lunch. They have different styles that complement each other. But they also have no qualms about "borrowing" a new technique from one another. 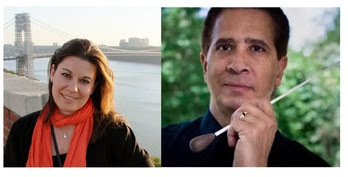 Levine's wife has often commented that she cannot tell the work of "the Two Gs" (as they are referred to by their Japanese editor) apart. Anyway, Eyeball on Fire! is available from Abq Jew's Amazon Store. It "works" on the Kindle Fire (and any tablet that can run the Kindle reader app). Tablets are perfect for viewing stereograms because of the high resolution, back-lighted images. 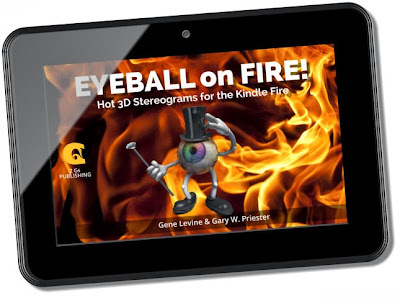 The e-book contains 50 all new colorful stereograms by Gary Priester and Gene Levine, who are considered masters of the art of the 3D stereogram. Shabbat Viyigash 5774 / 2013: All happy families, Abq Jew firmly believes, are alike. But, Abq Jew firmly believes, so are all unhappy families. So much for Tolstoy. And exactly how are they alike? Abq Jew will tell you. your family will embarrass you. 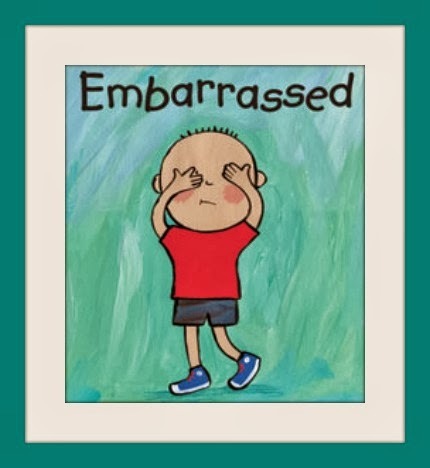 Certainly, it is the parents who have the primary obligation to embarrass their children. Our timeless tradition values such discomfiture almost as much as it values teaching children Torah, or teaching children to swim. But every now and then, one's siblings must step in to provide the full measure of mortification. And that, Abq Jew must tell you, is the hidden theme of Vayigash, this week's Torah portion. Now, for those on the triennial cycle: we read this final portion of the portion last year, the last year of the cycle. 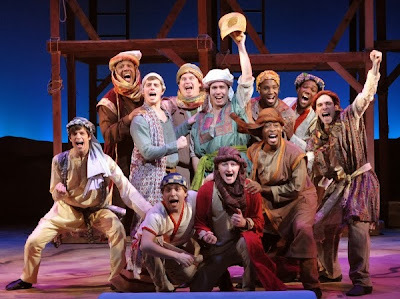 This year we're reading the first portion of the portion, which continues the story of Joseph and the Amazing Technicolor Dreamcoat. Please allow Abq Jew to paraphrase the relevant verses of Chapters 46 and 47 of Genesis. "We're cattlemen, and always have been." "Xnay on the sheepnay! Egyptians don't like shepherds. If they find out you're really shepherds, they won't let you live in Bel Air Goshen." So what happens? The brothers go visit Pharaoh, and sure enough, Pharaoh asks them, "So what do you guys do for a living?" "We're shepherds, and always have been. How do we get to Bel Air Goshen?" "Oy, am I glad they're your family, not mine." 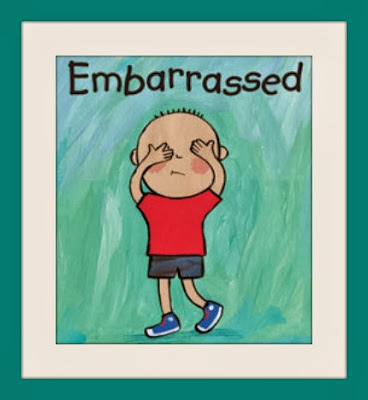 How does one deal with an embarrassing family (and, by definition, they're all embarrassing)? The dating site eHarmony offers some guidelines. Laugh with everyone. Pretend that everything is hilarious, no one will even notice that you are the one getting laughed at. Leave the area quick. When everyone is still laughing at you, when no one is looking at you anymore, walk away. soon enough they will notice you are gone. Change the subject. Tell everyone that you are going to a concert or something. Pretty soon, everyone will forget the fact that they are laughing at you. Find a friend to protect you from emotional pain. If your friend sees trouble coming, she will tell you to walk away. Will this work? Abq Jew assures you that it could. 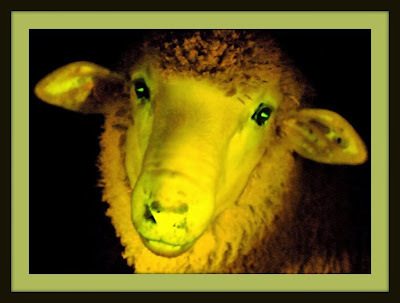 Glow in the Dark Sheep! Shear Mishegas! And speaking of sheep and cattle (we were, weren't we? ), surely you are now aware that Sheep Wars (or Sheep and Cattle Wars) have been fought since there were sheep. Or cattle. Which goes back to Day 6 of Creation. If you're thinking that no, that was Day 5 - well, you're wrong. The Bible tells us that Day 5 was devoted to fish and birds. You know, the evolutionary ancestors of the land creatures that God created on Day 6. 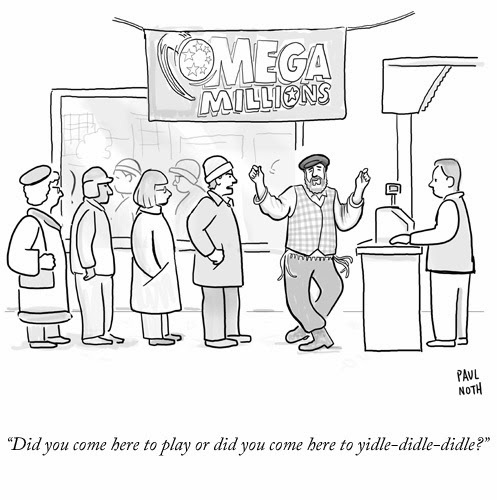 If you've ever felt awkward about your Jewish knowledge, welcome home. G-dcast is for you! A place to tune in to Torah for a few minutes at a time, we've got dozens of animated short films and mobile apps for adults and kids. When The Kids Are Off: The kids are off from school, but the parents / guardians still need to show up at work. Not, as Abq Jew not-so-fondly recalls, to actually do any work; rather, just to be at work. This leaves the parents / guardians running, racing, and dancing their way through the end of one year and the beginning of the next. 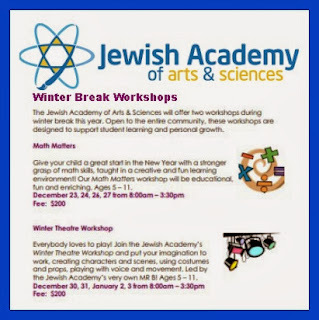 Fortunately, the Duke City offers some interesting, educational, and entertainingly Jewish alternatives. Here are three of them. 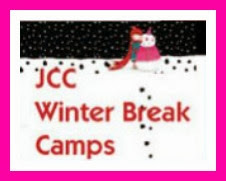 Participants will play fun gym games, time in the Youth Lounge, and plenty of playground time. There will also be a kids DVD movie daily during lunch. Please provide a sack lunch, drinks and lots of snacks for your child! Art, science, cooking, and fun in the winter sun for ages 2-7. Winter Break is a Blast at the Jewish Academy! designed to support student learning and personal growth. grasp of math skills, taught in a creative and fun learning environment! Our Math Matters workshop will be educational,fun and enriching. Ages 5 – 11.
using costumes and props, playing with voice and movement. Led by the Jewish Academy’s very own Mr B! Ages 5 – 11. If you're going to dance, Abq Jew has learned, you would do well to find a partner who is Easy to Dance With. 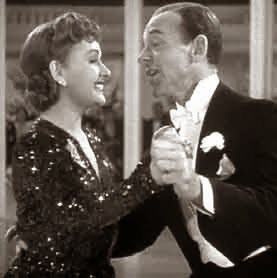 For example: Fred Astaire and Virginia Dale, from the film (one of Abq Jew's favorites) Holiday Inn. And yes, the song is by Irving Berlin. Enjoy! 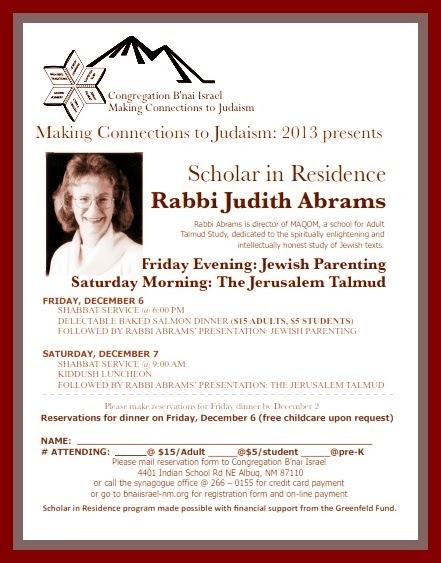 Scholar in Residence: Congregation B'nai Israel is pleased to announce that Rabbi Judith Z Abrams will be the Scholar in Residence this coming Shabbat. Rabbi Abrams, the founder and director of Maqom: A School for Adult Talmud Study, was the Guest Speaker for our Community Selichot Service in 2012. Rabbi Abrams spoke then about the Jerusalem Talmud, the subject of her latest book, The Other Talmud: The Yerushalmi: Unlocking the Secrets of The Talmud of Israel for Judaism Today. The community has eagerly awaited Rabbi Abrams' return visit to Albuquerque! On Friday evening - following the Kabbalat Shabbat service and a delectable baked salmon dinner - Rabbi Abrams will offer a special presentation on Jewish Parenting. On Saturday morning - after Kiddush - Rabbi Abrams will continue her exploration of the wisdom and wonders of the Jerusalem Talmud (as opposed to those of the more familiar Babylonian Talmud). except for the dinner on Friday evening!